Drone Assist, the drone safety app launched by NATS in December 2016 and developed in partnership with Altitude Angel, has undergone a number of changes and improvements to make it even more user-friendly for commercial and recreational drone pilots. Created to help drone pilots fly responsibly, one of the most significant changes to the app is to the Fly Now feature. Drone pilots can now plan their flights ahead of time, for any location in the UK, whereas previously this could only be done in the location being flown in at the time of flight. 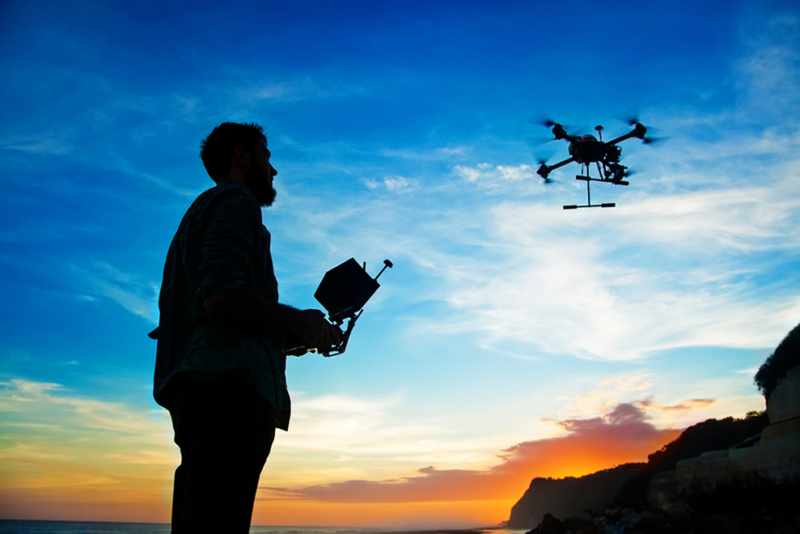 This update better supports commercial drone operators as well as any drone operator operating with limited connectivity and means that pilots can now plan ahead. Using Fly Now creates flight reports, which are visible to other app users and potentially other airspace users, helping to reduce the risk of a drone related incident in UK airspace. The new Area Reports feature provides users with a visual ‘Red/Amber/Green’ indicator providing a quick and easy way to see a real-time summary of hazards in a particular area when viewing the map. 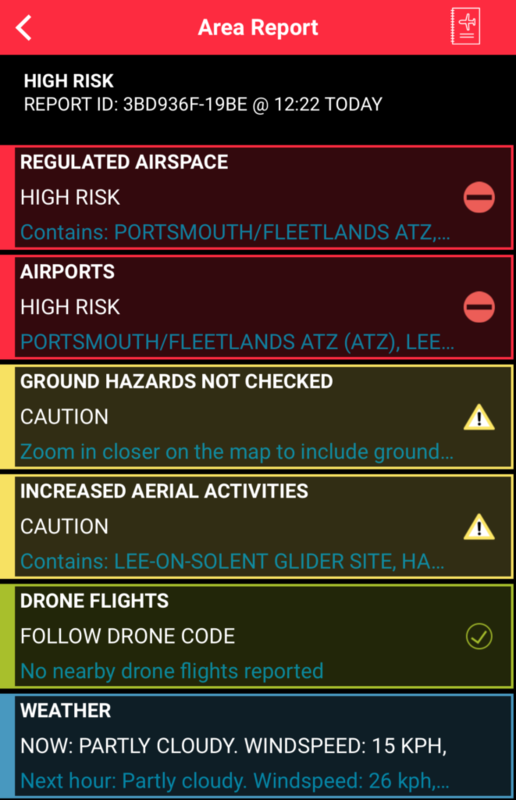 These summaries are categorised as High Risk (red), Medium Risk/Caution (amber) or Fly Safe: Follow Drone Code (green), when there are no reported risks mapped. Weather information has also been added to the app, allowing drone pilots to view the latest weather conditions, as well as a forecast for the next hour. Feedback from the users of Drone Assist has been overwhelmingly positive and has helped to inform app developments. Most notably and taking into account user comments, registration to use the app now only requires an email address removing the need of a mobile phone number. An additional 2,000-3,000 users are registering each month, with more and more pilots signing up as the weather improves. Registrations now total well over 20,000. Following the success of the mobile app, an iPAD version has just been launched and is available immediately. The app is available for free on iPhone, iPad and Android devices. Drones should always be kept well away from aircraft, airports and airfields. Operators should visit the joint NATS/Civil Aviation Authority website www.dronesafe.uk and read the CAA’s Drone Code before flying.